Thanks to the good folks over at the Brickset.com forums, I was made aware of this nice bonus that LEGO offered when you purchase a VW T1 Camper Van earlier in September. LEGO was running one or two promotions already for the Chima polybag pictured above, plus the Classic Spaceman box, but ended up also offering a free mini Camper Van polybag in the mix! All three polybags were included when you bought the larger Camper Van for regular price of $120. It turns out, the mini Camper Van polybag is worth quite a bit all by itself. Anyhow, even though I am in the middle of already building a Camper Van I purchased two months back, I couldn’t pass up all these great bonuses. 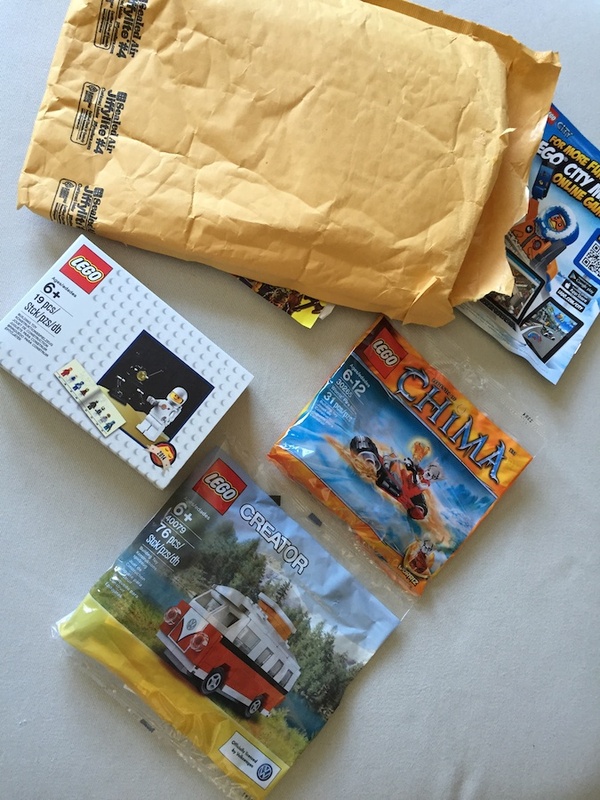 For some reason, LEGO sent out the polybags separately from the larger set – as the photo above illustrates.